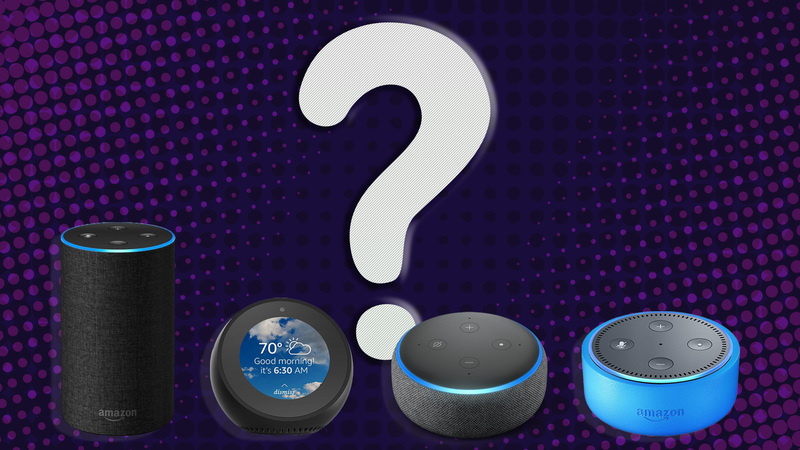 Which Amazon Echo Is the Best Fit for Your Family? You’ve been hearing all about them — the Amazon Echo with Alexa voice assistant, which allows you to do everything from make phone calls to read audio books to answer your most pressing questions. It seems like everybody has one, and now you’re finally ready to get onboard, too. But Amazon has expanded, and there’s not just a single super-smart voice assistant to pick, but several. There’s the Echo, the video-capable Echo Spot, the small and inexpensive Echo Dot and the kid-friendly Echo Dot Kids Edition. What’s your house like? Maybe you’re paired up with your sig-O and a couple of pets, maybe you’re proud parents of rambunctious toddlers or you’ve got a teen whose music you are trying to learn to love. Whatever your family looks like, Amazon has an Echo device that will seemingly fit right in. Just ask, and Alexa will help you make phone calls, answer questions, set reminders, make lists, play music, control compatible smart devices in your home and more, hands free. It seems like everybody has one, and now you’re finally ready to get onboard, too. There’s the Amazon Echo, the video-capable Echo Spot, the small and inexpensive Echo Dot and the kid-friendly Echo Dot Kids Edition. Sometimes, choices like this can leave our heads spinning. But not today.